Supporting and challenging School leadership to create the best teaching and learning opportunities for all students, teachers and communities around New Zealand. Bachelor of Arts (Hons), Diploma of Teaching, Diploma of Educational Management, NZSTA endorsed appraiser and Principal appointment advisor. 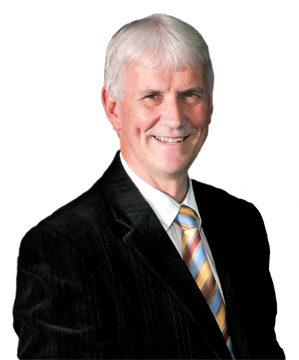 I’ve been involved in Education for over 45 years, including over 25 years experience in Senior School leadership culminating in a very successful Principalship at Spotswood College in New Plymouth. I also spent 3 years with Cognition Education in Qatar and UAE, and 2 years as a Student Achievement function Facilitator with the Ministry of Education. You will not find a more capable or supportive appraiser than Graeme McFadyen! Graeme brings to his role an understanding of the demands placed on a school leader. Due to this, he ensures that the appraisal process is both relevant and affirming. Graeme co-constructs appraisal goals that are specific to the professional learning needs of the leader while ensuring alignment with professional standards and the strategic direction of the school. Graeme provides regular encouragement and targeted advice and support by sharing of inspirational quotes, resources, professional readings and contacts. Throughout, he ensures that the appraisal process is positive, developmental and an encouraging experience. I fully endorse Graeme McFadyen as a professional appraiser. The time that Graeme spent working with us to set the appraisal parameters up was invaluable and the staff have commented very favourably on the inclusive nature of the process through the survey, formal interviews and Graeme's availability for informal feedback. Graeme's attention to detail and constructive, honest feedback is invaluable for us as we continue to build our capacity as a senior leadership team. Graeme has always displayed the skills of a highly effective facilitator and as a result he has helped develop a number of effective changes at Wainuiomata High School. These changes have ultimately led to improved student achievement. He is very inclusive and has the ability to make everyone and their ideas feel important and relevant. He creates a safe and secure environment where people are willing and encouraged to share and develop their ideas. Graeme's genuine interest in the staff he works alongside at Wainuiomata High School and the students whose achievement he is responsible for improving is genuine. He has an incredible amount of warmth and sincerity. Graeme is well respected and extremely professional in managing Principal Appraisals with your BOT and staff. Graeme has been an accomplished and an effective Principal so has a clear understanding of the various roles and responsibilities. Graeme’s appraisal service is professional, detailed, honest and thorough. I totally recommend having Graeme to facilitate your principal appraisal process. The entire process is very comprehensive and thorough. Graeme is well respected by staff, ancillary staff, teaching staff, students and BOT. He gains valuable feedback and then he can develop very detailed and helpful final report. An appraisal can be a nerve-wracking experience, for Principal's, Graeme’s affirmative and supportive, approach puts everyone's minds at ease. Graeme also has a wonderful manner about him, he is very efficient and thorough in all that he does. I have enjoyed and will continue to enjoy working with Graeme in coming years. Graeme McFadyen was my professional appraiser for the last 2 years and I am very happy to endorse his work. Graeme is warm and kind, he’s a real people person and a really nice person to interact with. Graeme made the appraisal easy. He was very willing to vary his procedures in line with my needs and the needs of the school. All the staff commented how comfortable they felt talking to Graeme. Personally, I have found Graeme to be an engaging and thoroughly professional colleague. I feel that having engaged a professional consultant with real, rich and diverse experience offers new insights. I am really pleased to have gone through the reflective process and it has made me go back and take stock of how I am tracking with my chosen goals and my professional development of the leadership role. I’ve appreciated the sharing of inspirational quotes, anecdotes and Graeme's professional, kind and compassionate nature, which has been well received by myself and the staff. I would highly recommend employing the services of Graeme McFadyen to undertake a Principal Appraisal. The process was conducted in a very professional, sensitive and confidential manner. He developed an easy rapport with my students and staff and his wealth of experience in education meant he not only fully understood the diverse role of a school principal but I was able to seek his advice on matters related to school management. Graeme kept me fully informed throughout the process and provided regular updates on how he was progressing. His thoughtful remarks about my school, students and staff members showed he really uncovered the true nature of the school’s learning environment. Discover together what we can achieve for your school. Contact me now.